In the 1960s ceramic symposium were held in Gmunden, Upper Austria, which attracted worldwide attention. We documented this piece of Austrian art history for Laufen in an extensive video series. 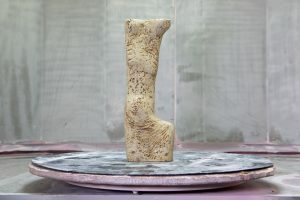 The ceramic symposium in Gmunden was initiated and carried out by the outstanding Austrian ceramic artist Kurt Ohnsorg. However, the symposium was only made possible by the commitment of Conrad Lester, the CEO of ÖSPAG, today’s Laufen. The symposium attracted not only artists from all over the world, it also influenced the company itself. That’s why Laufen wanted to document the symposia with contemporary witnesses and draw a line to the present. Together with Sabina Durdik von Laufen we worked on this piece of Austrian art history. In the first step, we documented and featured the numerous ceramic exhibits from the symposium period. 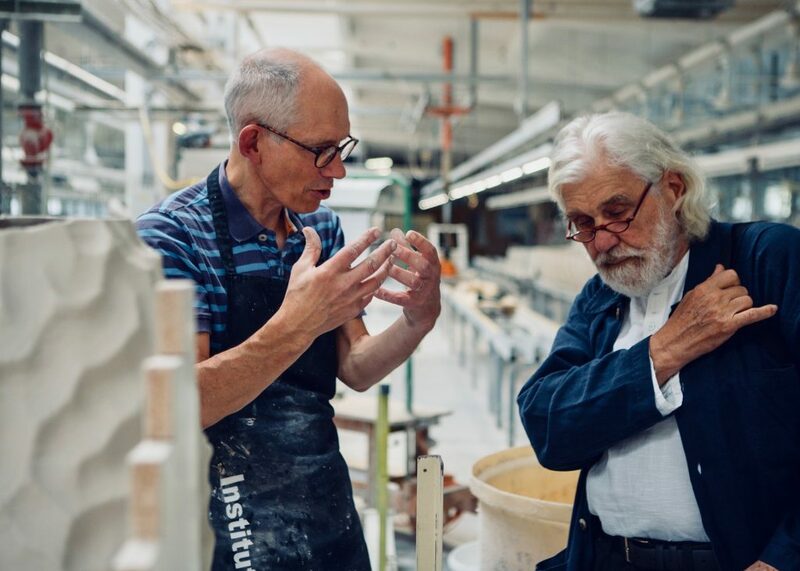 Subsequently, in an interview series with one of Austria’s most prominent ceramic artists, Kurt Spuray, himself a seminar participant, the daughter of Kurt Ohnsorg and Rainald Franz, curator of the MAK, they illuminated the different aspects of the artist Ohnsorg and the symposium. We typographically adopted the style of the 60s and chose very graphic imagery. This year, the symposium takes place once again in Gmunden. To add modernise the subject matter, we interviewed the renowned ceramic artist Jonathan Keep from the UK about digital ceramic art. With the opening of the Laufen Showroom and the project “Luna Lander”, which makes electricity out of urine, we drew a direct line to the present. Again, we continued the style of the video series and interviewed the artist and technical director of the project, as well as Mark Viardot, managing director of Laufen Austria and CEE. A total of 30 videos were created, which spotlight Kurt Ohnsorg and Laufen from different aspects.